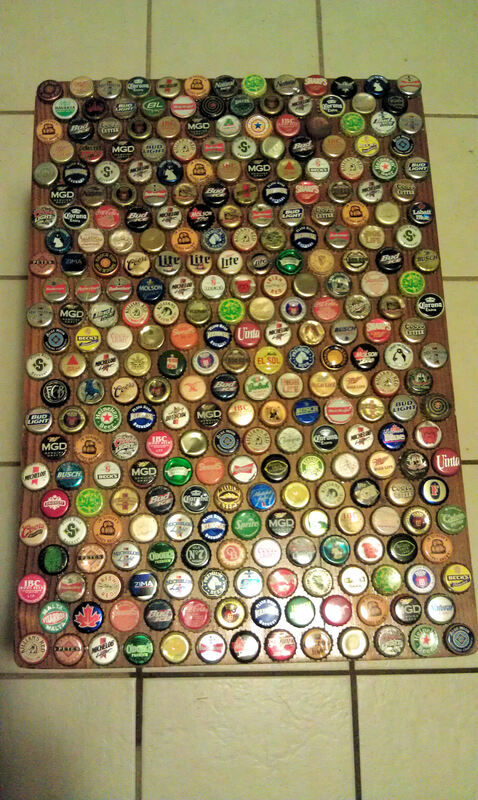 Bottle caps: they keep liquid in beer bottles and other fine beverages. And, many of them are unique and colorful. I collected them as a kid and wanted to do something with them rather than just leaving them in a tin can for no one to see. I decided to hot glue them to an end table for display. If you have never used a hot glue gun, let me tell you, they get HOT. I ended up blistering my finger on some molton glue by accident. I filled the caps almost full and let them dry. Then I lined them up straight with a straight edge and glued them to the table, alternating brands and colors. 288 caps later, it turned out pretty neat! It looks awesome! 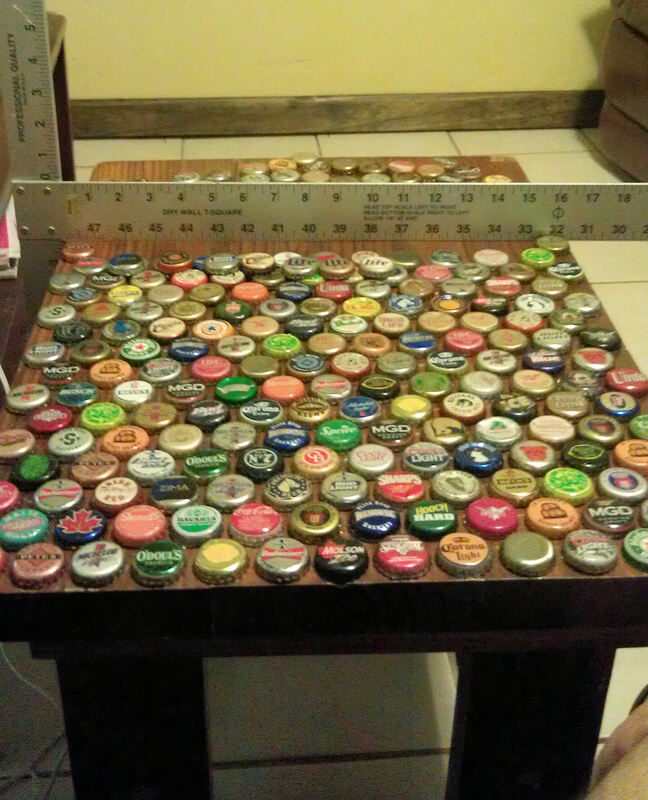 Now I want to branch out to other flat items and make them into gifts out of bottle caps! I guess I have to start collecting again (taking them out of recycling bins!) Oh and I put one cap upside down, can you spot it? Thanks Tim for sharing your crafty project! Guest Blogger: Kassi from Truly Lovely! that is awesome! My sister bought some leveling sealer that she used on a kitchen table. I wonder if someone wanted a flat surface they could add a trim around the edge and pour the shellac in to fill in around the caps and leave a flat surface once dried???? I might have to ask her the name of the stuff. You should put an epoxy over the top to seal it all in. Then it’s easy clean up too! There are lots of links on google if you search for instructions. Seems/looks really simple. Great job!